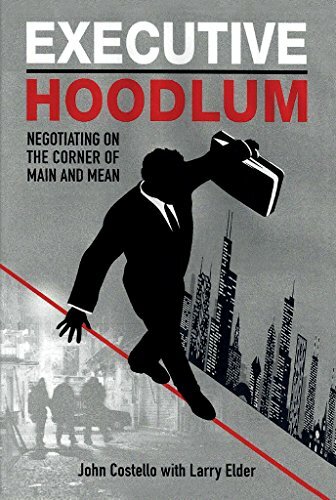 Executive Hoodlum: Negotiating on the Corner of Main and Mean by John Costello is a story about the Vice President of Business Development and Government Relations for Microsemi Corporation. He has a number of titles that he has earned throughout his life, from being friends with movie stars and other high profile individuals to being a Golden Glove boxer. You would think with his long list of accomplishments that he came from a fancy upbringing with rich parents and unlimited resources. Actually, the opposite is true. He was raised in a blue collar neighborhood in Chicago. His father was a somewhat violent man with mob connections and his mother struggled with addiction. John overcame quite a bit of turmoil in order to become the man he is today. This was a very interesting story from the very first page. Knowing that this was a true story made it even more of a page turner for me. I am often intrigued by true stories of people overcoming their personal struggles and hardships to become the people they are. While we all have our own issues we deal with, I find it great to be able to step into another’s shoes and try their life on for a while. So many people that have a tough childhood and upbringing use it as an excuse to not reach their real potential. Not John Costello. He adapted to the hand he was dealt and overcame it all. It would be tough to find someone that has had it worse in this country. His story is inspiring and makes you put your own issues into perspective and makes you look at how you can overcome them as well! He used the lessons he learned in a very negative world and has twisted them in a way that is useful in the corporate industry he has climbed into. I found myself chuckling in some places and holding back tears in others. The storytelling was on point and very relatable. In some ways I could see this being an inspiring box office movie. The situations where was struggling to get out of, yet finding himself falling back into those situations. You find yourself pulling for him to break away from those situations, and the delivery of those small moments are so incredible. I started this book a little while before bed and ended up staying up later than I had intended. The story was just that good. I literally struggled to find a point in which I could put the book down. The next morning I was up and trying to squeeze in the time to finish the book between my other priorities. Executive Hoodlum by John Costello is a great story for anyone that loves to read about people that overcome adversity in order to become a bigger and better person. I think anyone that has a tendency to think they can’t do something because of where they are from should pick up this book and realize that nothing can hold them back if they put their mind to it.